A comfortable pack that never seems to run out of space! 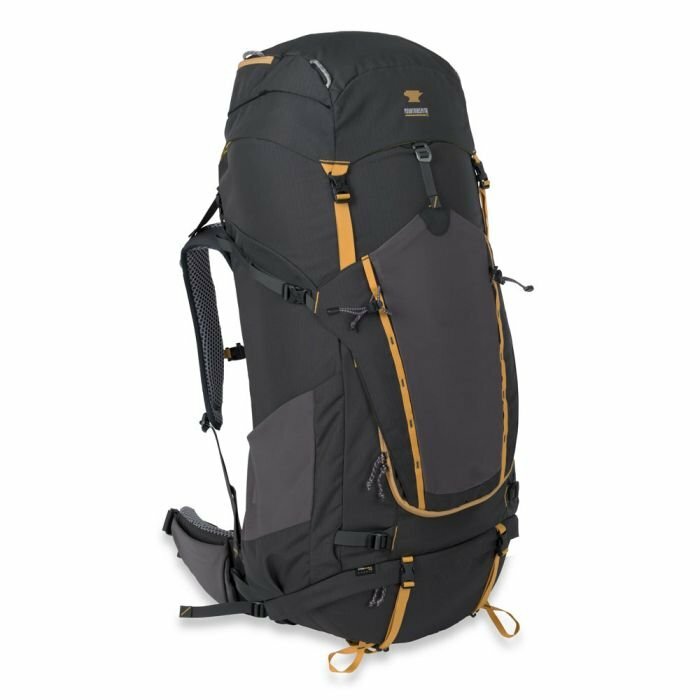 I would recommend this pack (or one of its smaller sibling packs) for backpackers who prefer comfort over light weight (both in the pack itself and with the gear they take). The Kelty 6650 is a high-capacity loader and allows me to take anything and everything! I've been using it for more than 10 years now. While I don't generally have the opportunity to go on more than one backpacking trip per year, the trip is normally for 3-4 days, and has covered up to 25 miles out and back. In total, I have probably used the pack for around 150 miles (so it's probably just now getting broken in :)). 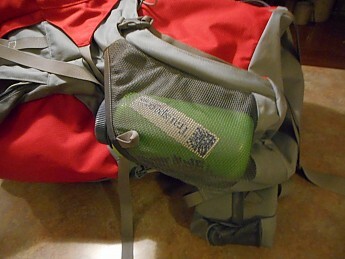 I've used it on multiple trips mainly in the High Uintas of Utah and the Sawtooths of central Idaho. The compression straps make load security very easy, especially when I only fill up half of the pack (which is probably most of the time for me...). Even though I haven't used them much, the other straps on the outside of the pack make it easy to add additional items. I don't use the daisy chain to attach much to the outside of the pack, but I really enjoy having it there. I use it all the time to pick up the pack when it's lying with straps down, such as when it's in the bed of a pickup truck. I also attach a simple carabiner to the daisy chain that I can use for a variety of camp task. 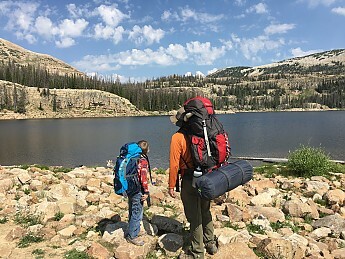 I've used this pack a few times when backpacking with young kids that can't carry much, if any, of their own gear, and even when loaded with over 70 pounds of gear, the Kelty 6650 still rides comfortably on my hips. 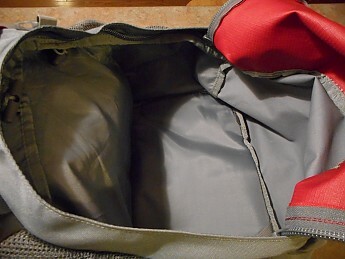 In addition to using the pack with backpacking, I've also used it as a gear bag when car camping. Even after all these years, it looks like new. The bag is well made and doesn't show any signs of wear yet (perhaps that's just proof I need to get out more....). The biggest drawback to this pack is the weight. At over 7 pounds, this pack is a bit heavy. However, that's to be expected for the comfort and the pockets and the other features of this pack, as well as the affordable price. Great review, mackaym! Thanks for taking the time to share it here. A big hauler when going big is the only option. I have climbed Mt. 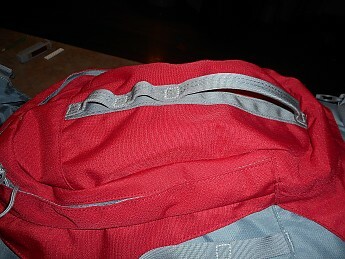 Adams and used this pack for most of the summer on other multi-day hikes this year and so far I am satisfied. 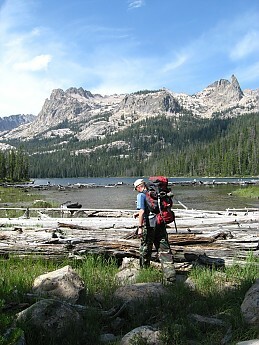 Most of my trips are on trails in the Alpine Lakes Wilderness in the Central Cascades. I have also removed the top pouch and cinched the compression straps down and used it on short hikes as well with success. 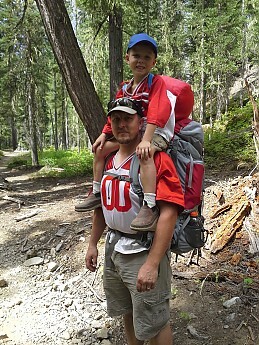 The suspension system is very comfortable even when I carry gear for myself and my kids. I can easily adjust the weight between my hips and shoulders during a hike as I see fit. There is a handle sewn into the back panel which is sturdy enough to be used for hauling the pack around when not being worn. Compared to my old Camptrails Omega external frame (or any external frame) it hugs my back nicely and keeps me balanced in deep, sloppy snow. Storing an ice axe in the back loop would be easier it there was a dedicated strap for the upturned shaft. I still haven't found the perfect place to hang my crampons and helmet either. The stitching seems to be plenty durable and the belt will adjust to large enough for two of me (and I'm a tad fluffy). The external side pockets come with only single zippers which I am not used to but I think they were trying to save on weight. 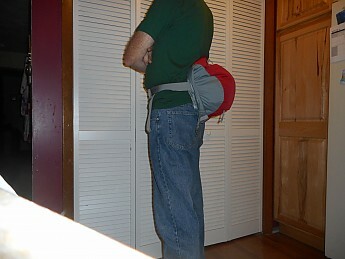 Once detached, the top portion makes a serviceable fannypack for summit trips if you only need a little gear. The pack is huge and holds more gear than I ever want to carry--so far. My main gripe is that the water bottle pouches are too shallow and carabiners need to be used to hold them in during glissades. Saying that the little mesh pouches on the hip belt work perfectly for iodine tablets, lip balm, a lighter, folding knife, compass and the like. The sliding sternum strap is neat but it seems to always slide up to the highest position. My favorite part is the price. It was on clearance from Campmor and it's a lot of pack for the money. Update 8/2014: I just summitted Mt Rainier with this pack and it's still my go-to pack for kid hikes where I haul a LOT of gear. 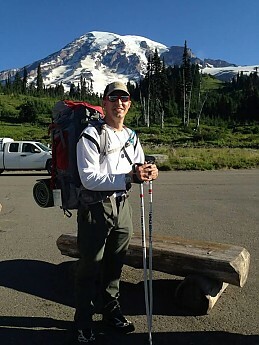 Update 08/2015: Another successful Rainier climb and several overloaded kid hikes and still going strong. Got some pictures of your Red Cloud you could share in your review, Jeff? 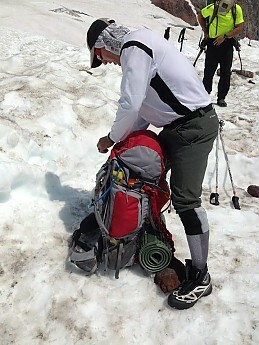 I had the same model of pack on Rainier in 2015! That's how I feel about pics I see in 2013! 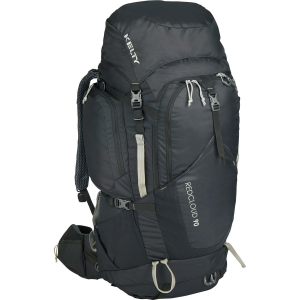 The Kelty Red Cloud 6650 is a cavernous 109 liter pack ready to swallow up anything you want to put into it. 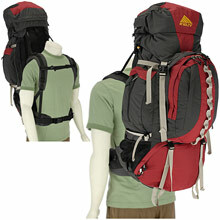 Weighing 6lbs, the Red Cloud 6650 is best used for those needing a lot of pack space and not worrying about the weight. Expeditions, base campers and those carrying extra gear are users that come to mind. 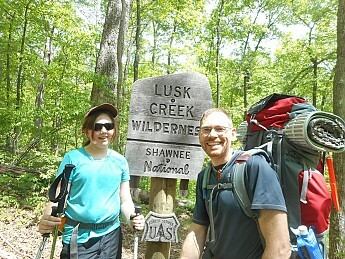 Although this Kelty model is officially discontinued, it lives on in the Red Cloud 110. I got this pack on a Campmor 1-day special for only $99. Although I do not use this pack regularly, I have never regretted the purchase. 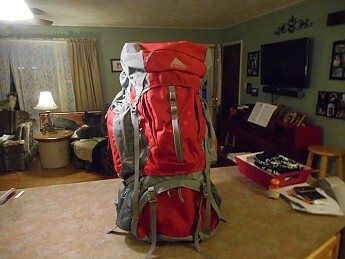 The 6650 is big...HUGE...far bigger than what I need for weekend treks or even week-long outings. 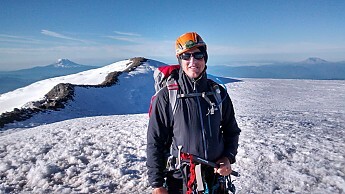 Currently, when I use it, it is because I am carrying gear for one of my kids, but I purchased it with dreams of future expeditions, such as Mt. 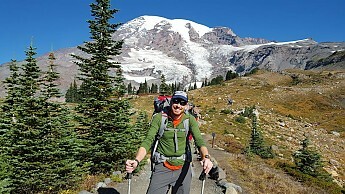 Rainier or trekking across Nepal (both on my “Bucket List”). While training for Mt. Rainier, the kids were all about hiking/camping with dad, because they knew I would be carrying their gear as well as my own! ...plus there is the hydration sleeve. 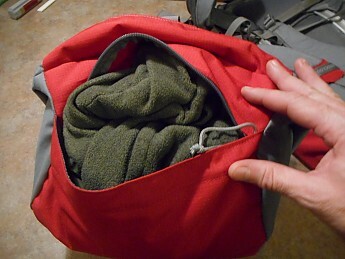 ...This pocket zips back on three sides to present more storage and access into the main compartment. 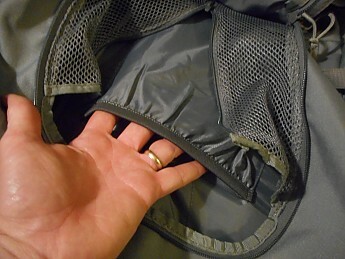 When digging down from the top, this mesh zipper is essentially an extra pocket inside the pack. ...Hook and eye closures at the top of this compartment allow the user to open up the entire inner pack for greater storage. 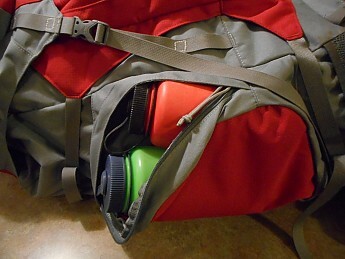 Did I use the word “day pack?” Well, the float top actually detaches from the pack and can be used as a fanny pack! You can see the fanny pack straps in this pic. And again, it's... “big,” bigger than any fanny pack I have ever owned. In this picture, the float top contains two Nalgene bottles, rain gear, and a fleece pullover. Kelty states this float top/fanny pack can take you to the summit. Perhaps that is an overstatement, but I guess it depends on the peak. There is a lot of adjustability in this pack. 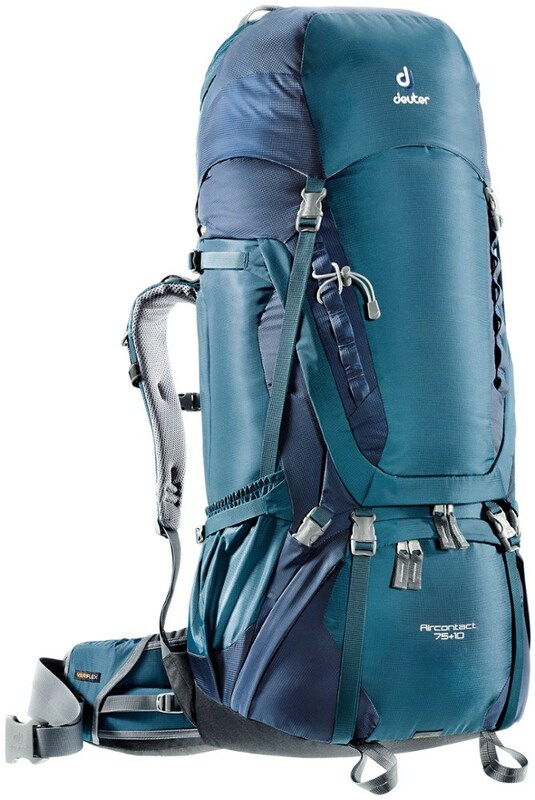 Using heavy duty velcro, the shoulder straps and pad can be slid up and down the aluminum frame to fit the hiker. This reviewer is 6' 2”, and the pack fits me well. I am uncertain of the full range of fit. These are the absolute worse feature of the pack, and well worth noting. 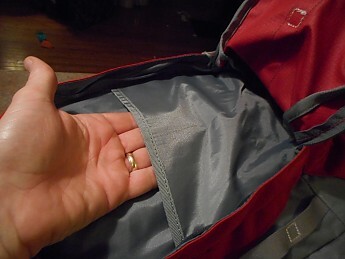 I have never been able to open or close any compartment without having to fight the zipper. It is not that the zippers jam or catch fabric, it is they just do not travel smoothly along the track. At the time of this edit, the 6650 is no longer in production. It has been replaced by the Red Cloud 110. Some sources report they are essentially the same pack, only much more expensive. 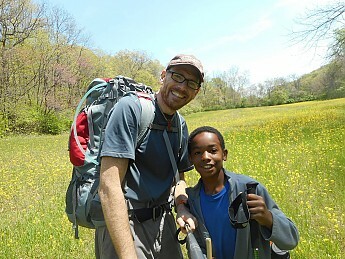 If you are in need of a massive pack, then Kelty's big boys are worth checking. Massive is the word that comes to mind. Thanks for the update, Goose. I love this pack. I am a large guy in two directions and this pack fits me all the way around. I like the way it adjusts to the curves of my back and is able to adjust up and down to keep the lumbar pad in the lumbar area of my back. It is a big pack. I like big. However, I do carry too much gear because it is big. My sleeping pad is 30 inches wide and I get the whole pad inside this bag. I also like the fact that it has several small pockets on the sides to hold needed gear and interal pockets for maps and a water bladder. I am quite satisfied with it. 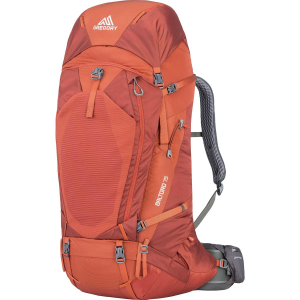 I have noticed that on shaky footing the pack seems to swing from side to side a bit, but I chalk that up to the size and the 55 pounds I had in it. I have owned my pack for over a year and I never leave home without it. 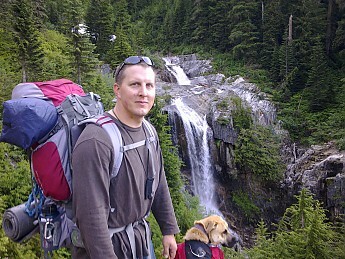 I have hiked on trail and not on trail, I have climbed rock faces, I have never had a problem with the pack. It has plenty of room and its hydration compatibility is a major bonus. The weight is well balanced and stays close to your body. 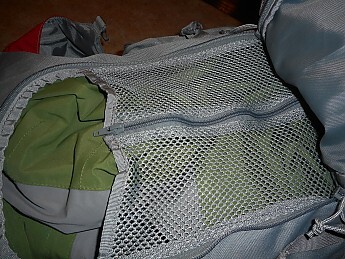 I would recommend this pack to anyone who wants to do multi-day treks on/off trial and might have to do some climbing. 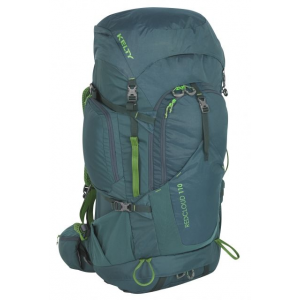 Overall this pack can carry the largest load you could possibly carry. I carried over 90 lbs of gear and tools to stake a remote property in Alaska. On the first trip I had a chainsaw strapped to the side of this pack. The pack's internal aluminum frame bars needed constant tweaking and adjustments due to pressure points on my back. 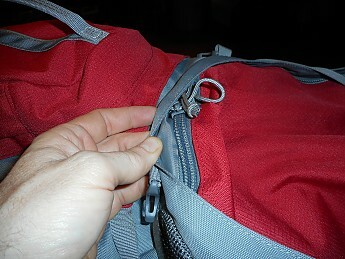 The zipper on one of the large side pockets didn't hold together and lost some gear during the hike home. 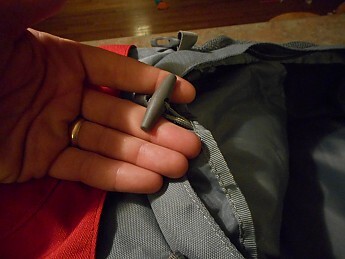 One of the plastic buckles that compresses the exterior of the pack snapped off while cinching down on the lower sleeping bag compartment. 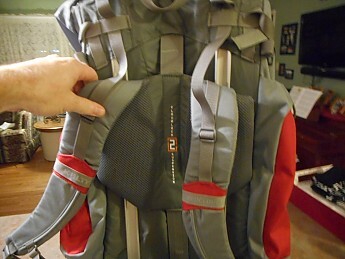 The shoulder straps are way too anemic compared to the cubic inches this pack holds. The shoulder straps were very uncomfortable with a heavy load. After an entire season with this pack paddling and hiking hundreds of miles of remote Alaska I can say this pack is a decent buy. It is only comfortable with loads under 65 lbs. Because the price is great recommend replacing the plastic buckles with metal ones. I also recommend modifying the shoulder straps. Max. Load Carried: 65-70 lbs? Being a Cub Scout Den Leader with two young sons of my own, I needed a massive load-hauler, even for overnights -- call me the "pack mule." The price of this pack was unbeatable--I found it on-line for sale at $140 delivered. It is loaded with features and can carry everything I need for my Den -- food, cooking gear, tent(s), first aid kit, etc., etc., etc. Pretty comfortable even with a giant load. Extremely adjustable suspension. 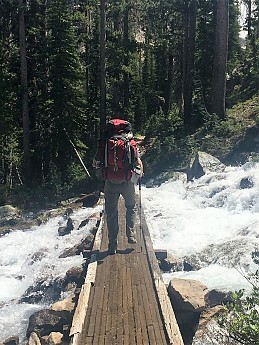 You will need to adjust the stays for the way you like to carry the pack; the first time I had it jammed up to about 65lbs, I had two preasure points at the waist where the stays were poking me; I adjusted them and had no problems on the next trip. 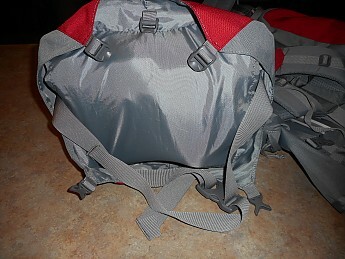 Pros: massive if you need it; lots of pockets/features; great price; good suspension; Kelty tough. Cons: It is huge, but don't buy this unless you need a mega-pack and can fill it up. Heavy when empty. Could use an easier way to strap things to it vertically. My first pack I bought. Happy with it but too damn big. I don't need all that extra room. For the money, this pack is an exceptional value. For the money, this pack is an exceptional value. It has all the bells and whistles of more expensive packs and is very adjustable to create a custom fit. I've had it up to 46 pounds now on mountain hikes and it is very comfortable. At 6650 cu.in., it has the capacity to carry about anything and has a number of pockets to divide the gear. Very happy with my purchase. The Red Cloud 6650 has been discontinued. The Kelty Red Cloud 6650 is not available from the stores we monitor. It was last seen March 2, 2013	at CampSaver.com.